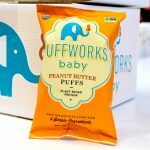 Brands’ — such as Puffworks — efforts to prevent peanut allergies have inspired other brands to develop products that offer the early introduction of other allergens. While children fear monsters under their beds, parents of children with allergies fear a different kind of demon: peanuts. 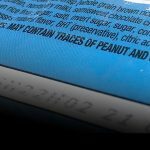 But, according to two recent studies, peanut allergies may be avoidable with the controlled, early introduction of peanuts to babies. The FDA has taken note and its change in stance is sending waves throughout the food industry. CPG collective Halen Brands has acquired plant-protein centric brand Only What You Need (OWYN). The brand debuted at Natural Products Expo West as part of Halen’s newly launched, allergen-friendly brand platform, Safe Allergen Friendly Environment (S.A.F.E.). It’s like playing Russian Roulette. With food. At least, that’s the opinion of one scientist.